This is the slow, reflective story of two neighbours who meet while rebuilding their lives. Milt is a widower still grieving his ex-husband and Billy is a recovering alcoholic. As the blurb suggests, this is a gritty, angsty read. A compilation of memories, reflections, and small shared moments, most of the story takes place in the past as Milt – and often Billy too – seems to live inside his own head. Milt’s experience of dementia is raw and real. I think his reflections will ring true for anyone with personal experience of the disease. As he starts to surface from his grief, there are moments when his loyalty to his husband wars against his need to live and his growing attraction to Billy. We don’t see quite as much of Billy as we do of Milt, but his experiences are equally heartbreaking. The age gap makes sense as both men are in an almost transient stage of rebuilding. I love how Billy is beautiful and shiny on the outside but emotionally scarred and wary of being hurt again. This is a more mature second-chance romance that will probably appeal to older readers. It’s a slow read with little action. There is almost no heat in the connection between Milt and Billy and there’s very little traditional romance. Milt and Billy fumble towards each other first as neighbours, then as friends, and finally, maybe as something more. I love the connection they share, and I really enjoy the way both men feel very real and very human. I love the growth we see in both men throughout the story and I love the thread of hope that weaves through their attempts to restart their lives. 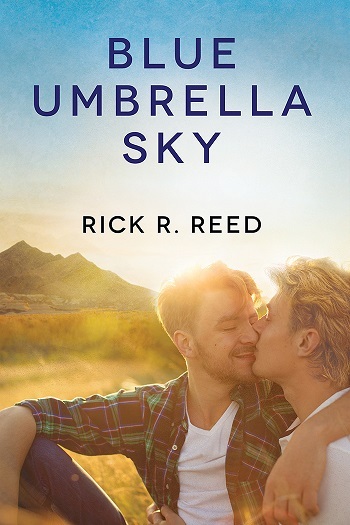 Reviewers on the Wicked Reads Review Team were provided a free copy of Blue Umbrella Sky by Rick R. Reed to read and review.